The county seat of Burke County, NC, is Morganton. Recently renovated, the court facilities in Morganton is the home to NC Judicial District 25-A. 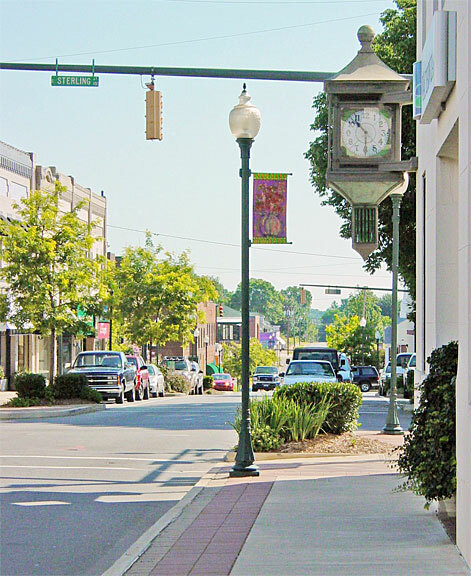 The Curtis Sluder Law Firm regularly represents criminal and traffic defendants in Morganton. We protect the rights of defendants from Morganton, Valdese, Hildebran, Connellys Springs, Rutherford College, Drexel, Glen Alpine, and Rhodhiss. Burke County is home to part of the Pisgah National Forest, Lake James, beautiful mountains, vineyards, shopping and more. In recent years, it was the site of the Motion Picture “The Hunger Games”. With a daily presence in court since 1998, the Curtis Sluder Law Firm has the experience you need. From a traffic matter to complex criminal defense, we stand by you and fight for your rights. From protecting your right to drive, to protecting your freedom from incarceration, we defend you every step of the way. When you are charged with a crime in Burke County, NC, regardless of the outcome of the case, society tends to view you in a negative light. Our criminal defense firm, however, takes a very different approach; we base our mission on the ideal that each accused person is innocent until proven guilty. With this principle serving as the foundation of our work, our attorneys work tirelessly to defend clients charged with criminal matters ranging from minor traffic violations, misdemeanors such as assault and drug possession, to serious felony charges. Regardless of the charges against you, we will work aggressively to defend you in a court of law. We routinely represent clients charged with the following crimes: DWI, Drug Charges, Speeding and other Traffic Charges, Driving Revoked and License restoration, Assaults, Expungement, Missed Court Dates. Provide you with a free, initial, and confidential consultation and criminal case evaluation. We listen to what did and didn’t happen, ask pertinent questions, and assess the potential strength and or weaknesses of the case against you. We will advise you of what actions to take, what not to do, what not to say, whom you should not speak with, how to protect yourself going forward, and identify potential strategies pending review of your police report, witness statements, and any other documents or evidence affecting your case. Visit the scene of the arrest or alleged crime, combing for evidence and disproving factors while notating irregularities and any contradicting or conflicting statements cited in the police report. Hire a private investigator, when applicable, to prove or disprove essential elements of your case. Employ an independent laboratory to test, document, and testify as to the reliability of evidence and / or samples related to your case. Traffic cases in Burke County are usually scheduled for Thursday administrative court, though occasionally they are scheduled on a Monday-Wednesday session of District Court. We represent most traffic cases by written waiver, which means we inform you of the likely options for your case, possible outcomes, our plan of action in your case, and you allow us to go to court on your behalf, meaning you do not need to take a day off work in order to attend court to handle your traffic cases. This is especially important for persons who were ticketed while passing through western North Carolina, as well as residents with other obligations. Rest assured that your presence is not necessary, though, and if things do not go as we planned in court, we will continue the case and contact you about any new developments that may have arisen. Representation in traffic matters usually incur a fee from as little as $100, and we typically save you far more than that by preventing possible insurance increases. We regularly handle traffic cases, misdemeanor criminal cases, and other matters in Burke County. The county seat is in Morganton, where District and Superior court cases are handled. The courthouse is located at 201 South Green St, Morganton, NC 28655. District court cases are usually scheduled on Monday, Tuesday, and Wednesday. 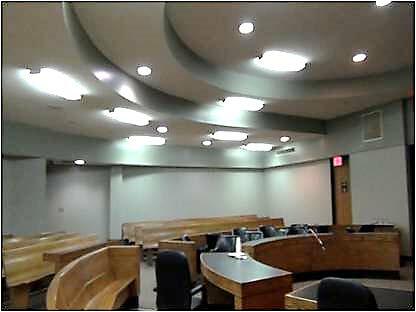 The courtrooms are on the second floor, and you will have to go through a metal detector prior to entering the courtroom. Court starts on these days at 9:00 am. Please be in court at least 5 minutes before, so that you can answer the calendar call. If you received a traffic ticket in Burke County, NC- do not pay it online until you speak to a qualified traffic attorney. See more here. Traffic cases in Burke County are usually scheduled for a Thursday session of Administrative Court. We represent most traffic cases by written waiver, which means we inform you of the likely options for your case, possible outcomes, our plan of action in your case, and you allow us to go to court on your behalf, meaning you do not need to take a day off work in order to attend court to handle your traffic cases. This is especially important for persons who were ticketed while passing through western North Carolina, as well as residents with other obligations. Representation in traffic matters usually incur a fee from as little as $100, and we typically save you far more than that by preventing possible insurance increases. Non CDL Drivers are concerned with driver license points, of course, but we understand that the bottom line for most drivers is in the pocketbook- We go over all available options with each client, and try to find the best cost saving option to prevent insurance increases. Different options may be best suited to different clients, depending on their family, other drivers on the policy, prior record, and the amount of driving they do. If you have negative prior entries on your driving record, we may need to come up with creative options to keep you licensed and minimize your insurance. Our extensive experience in Morganton, Burke County representing traffic defendants is your best bet for keeping your insurance rates low. Typically, misdemeanor criminal cases in Burke County start in a regular session of district court, Usually Scheduled for a Monday or Wednesday. Different judges usually preside in administrative court, and our regular elected district court judges preside in the regular sessions of district court. Unless we represent you by waiver, or have told you otherwise, defendants should be in court by 9:00 for calendar call. The District Attorney is usually not available to speak with unrepresented defendants before the calendar call.